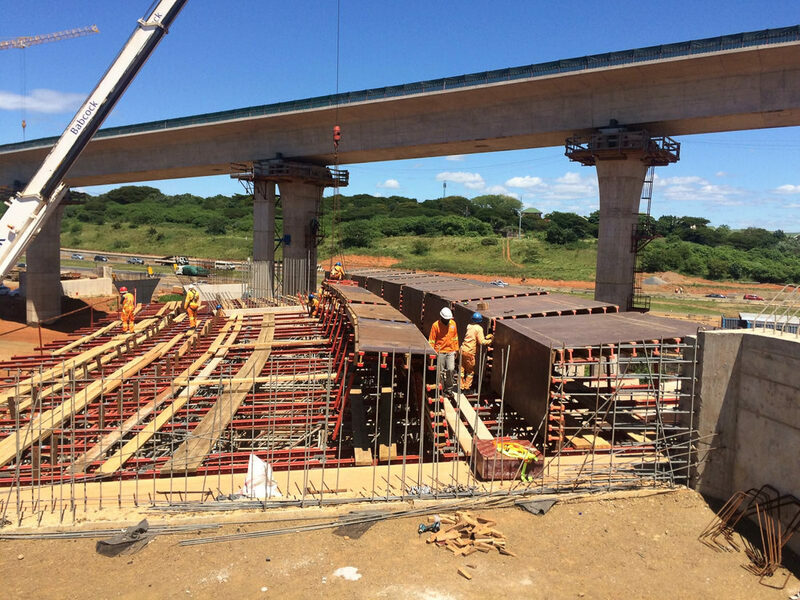 Home › Case histories › Infrastructures › Construction of two viaducts for the highway off-ramps. 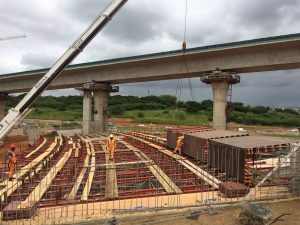 Construction of two viaducts for the highway off- ramps. 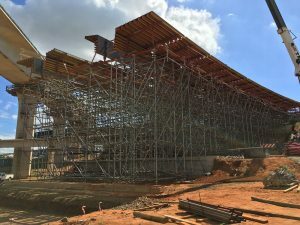 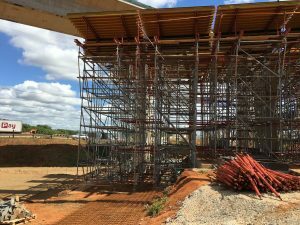 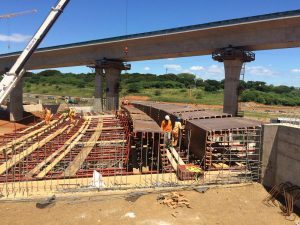 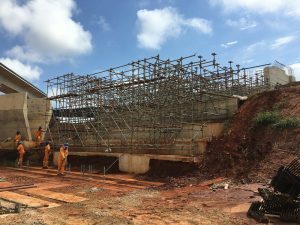 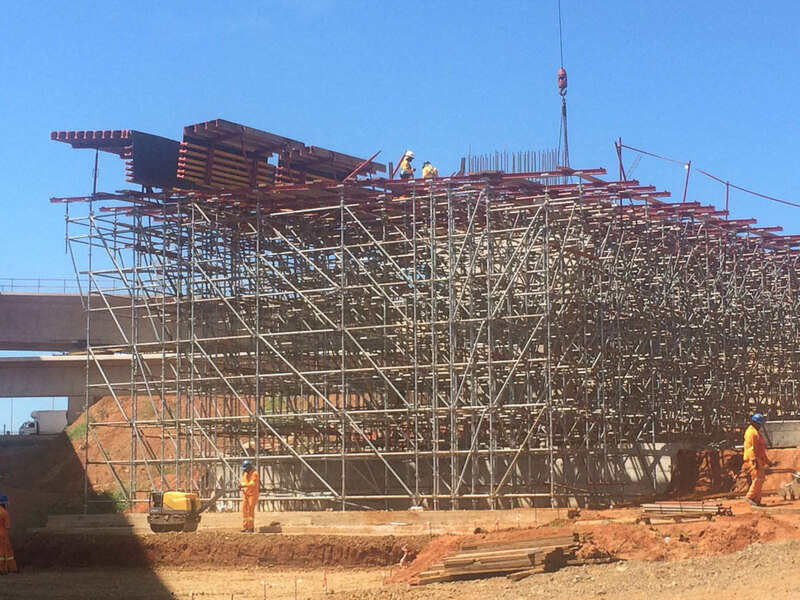 Abutments and piers of varying height from 8 m to 13 m, were made using the P300 standard modular formwork system as there were no special requirements. 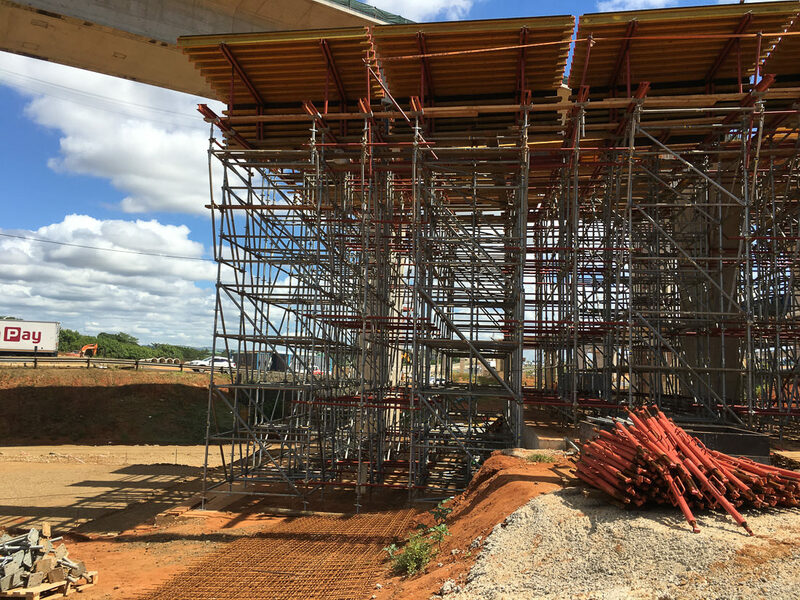 The shoring used for the casting of the bridgedeck is a system of MP multidirectional towers interconnected with differing mesh. The deck beams vary in thickness from 30 cm to 140 cm and are made using the MAXIMIX system fixed to MP shoring through various structural supports of iron beams and wooden beams in PL20 to create the necessary inclination. 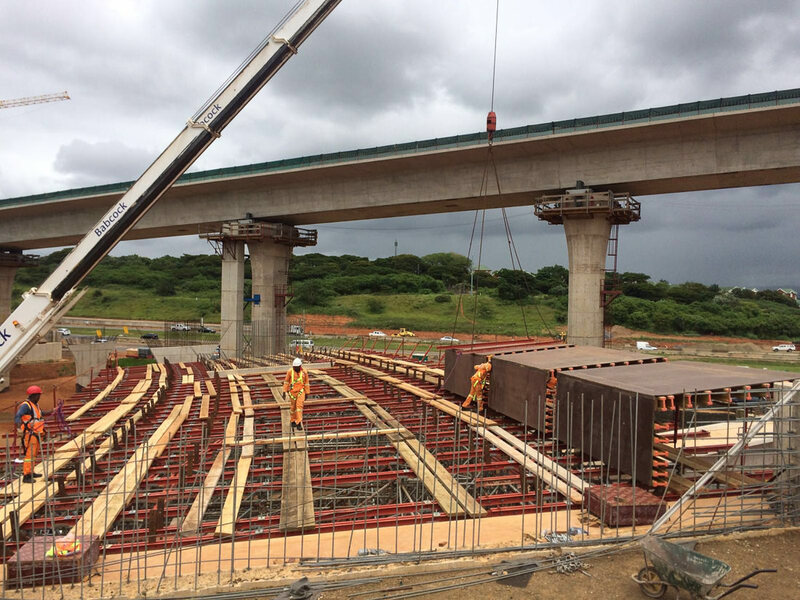 600 square meters of MP shoring and MAXIMIX formwork have been supplied allowing the bridge to be completed in three phases.